Switzerland to return $321m Abacha loot – Malami – Royal Times of Nigeria. The Minister of Justice and Attorney General of the Federation (AGF), Abubakar Malami (SAN) on Thursday, said that negotiation has been concluded with Switzerland on the return of $321 million recovered from the late Abacha family. Malami also said the country recently recovered $85 million from the controversial Malabu Restrained Funds from United Kingdom (UK). 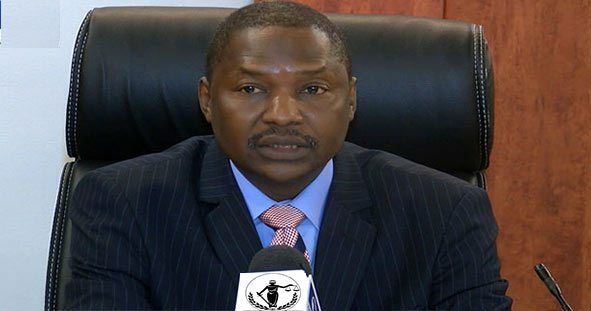 Malami said that with the conclusion of the negotiation, the Memorandum of Understanding (MoU) will be signed by parties at the Global Forum on Assets Recovery meeting to be held on between December 4 and 6 in Washington. Malami assured that the country was willing to support the transparent return of stolen assets. He urged the international community to ensure prompt return of assets from the country to enable it meet the sustainable development goals. He said, “It is widely acknowledged that corruption undermines economic development, political stability, rule of law, social development, disrupts social order and destroys public trust in the governance system. It is an established fact that corruption which is linked to organised crime, terrorism and insecurity is one of the reasons for underdevelopment.